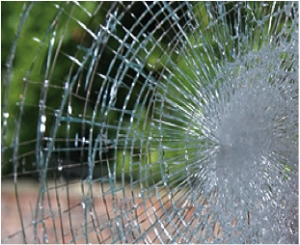 If your glass is broken, cracked or damaged beyond repair, we can manage a quick replacement. A Glass Technicians will be dispatched to your home to assess your glass replacement needs. They will measure the effected windows or door and immediately provide an estimate. Replacing the glass and not the whole window can save you up to 50%. We Service Phoenix, Scottsdale, Tempe, Chandler and ALL surrounding Areas! What Type of Glass Panes Do you Need? 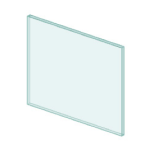 The following are two of our most frequently requested products, single- and double-pane glass. 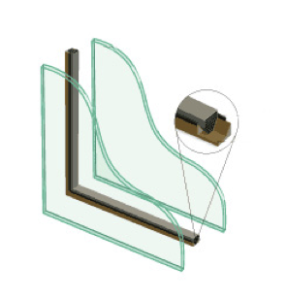 Double paned insulated units can be nearly twice as efficiently as older single pane windows. We make many of our double pane window replacement in our facility which increases our turnaround time. Single pane windows are still found in many homes in the Phoenix area. When they break we can send a man in a glass truck to quickly replace the glass. They will measure your single pane window, match the glass, cut it to size and install the glass in your current frame. If your glass is held in by putty on an old metal frame removing the old harden putty can take extra time and sometimes requires an additional charge.